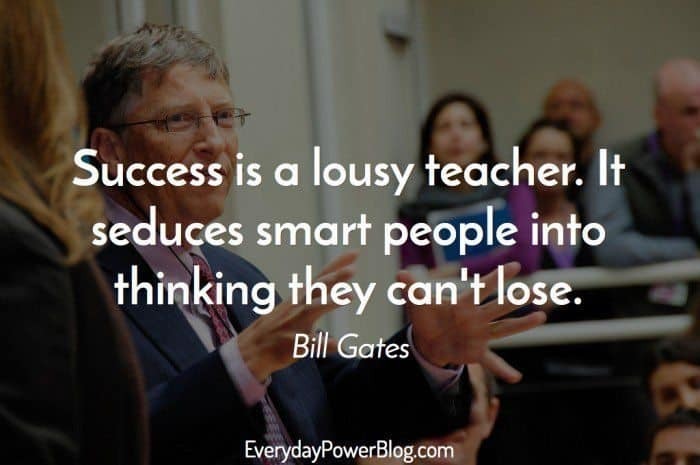 Our latest collection of Bill Gates quotes to inspire you to success! Each quote has a net worth 20.2 million so read each one with care! LOL! Enjoy! William Henry “Bill” Gates, III is a business magnate, mega philanthropist, serial investor, and computer program developer. 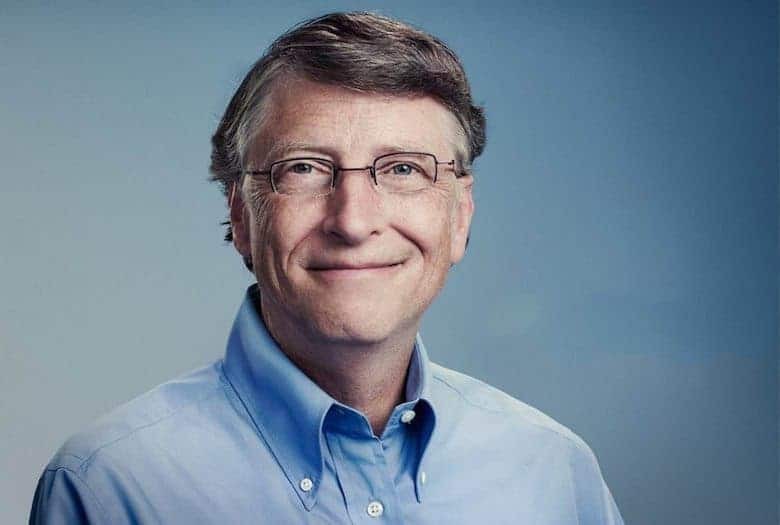 Bill Gates is known for being the Chief Executive and Chairman of Microsoft, the world’s largest and most popular personal-computer software company. Bill Gates leads the world in both net worth and charitable donations. While reading through this collection of Bill Gates quotes, ask yourself the following questions. How does this idea apply into my life? How could this idea impact my performance in the work place? What is Bill trying to say about our own unique voice, journey and self? What ideas do I need to let go of? 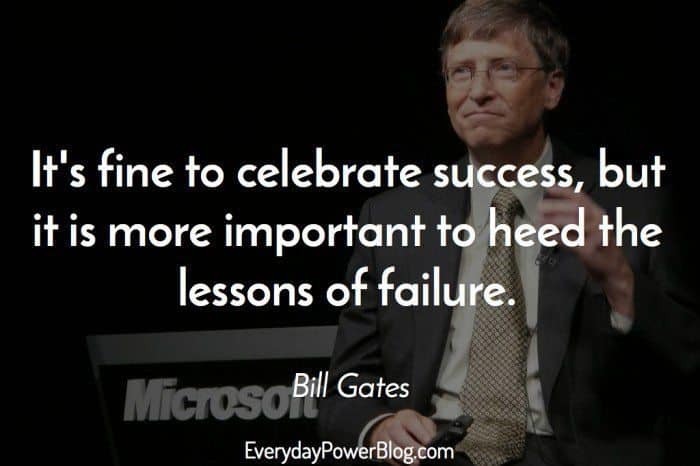 Below is our collection of inspirational, wise, and thought-provoking Bill Gates quotes and sayings, collected from a variety of sources over the years. 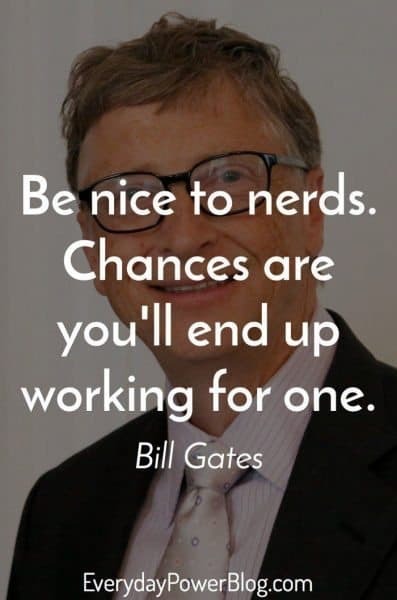 Enjoy these awesome Bill gates quotes! 44.) The way to be successful in the software world is to come up with breakthrough software, and so whether it’s Microsoft Office or Windows, its pushing that forward. New ideas, surprising the marketplace, so good engineering and good business are one in the same. 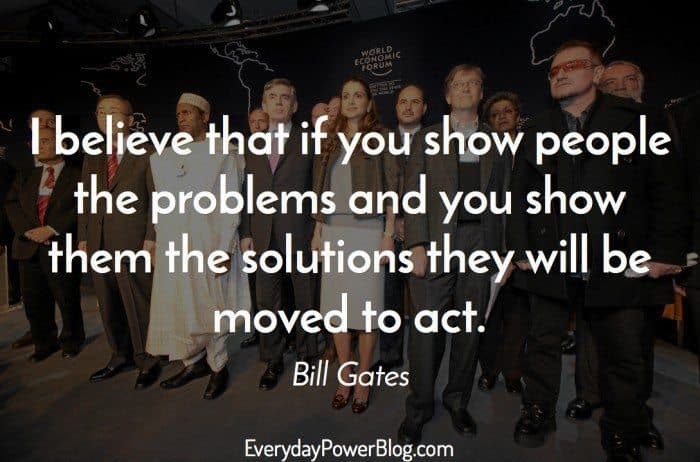 What other Bill Gates quotes would you add to the list? 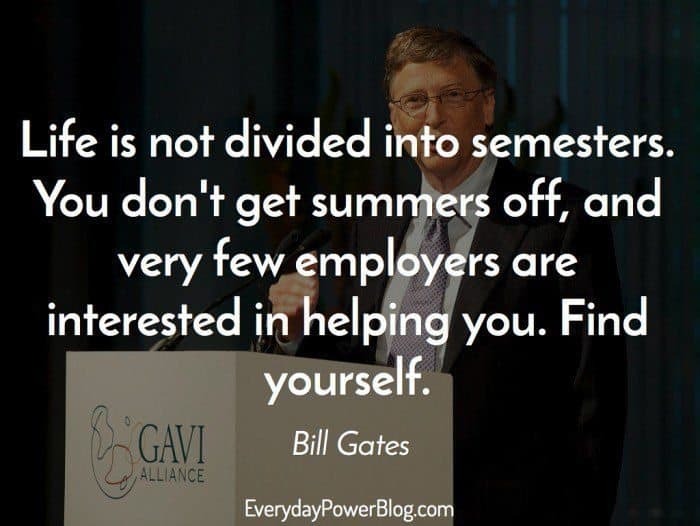 Bill Gates is a great business man, a great inspiration, and a great hard worker. He is a hero to many people because of all his accomplishments and because he worked hard to rich where he is. We hope his words will help you succeed and never forget to be kind to others. 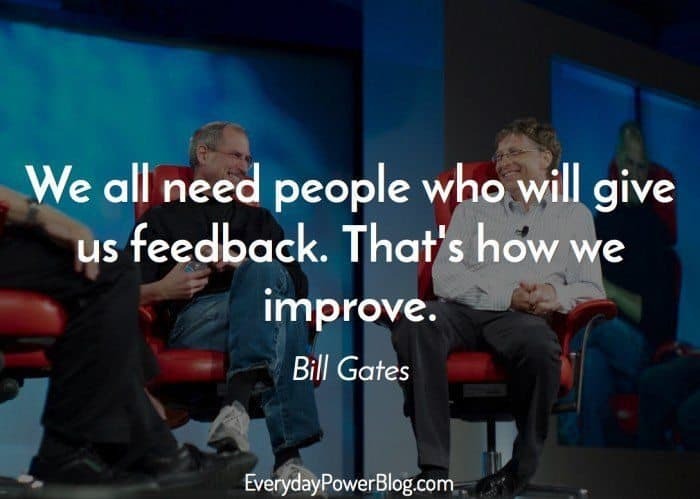 Which of these Bill Gates quotes was your favorite? Do you have any other inspirational quotes to add to the list? Tell us in the comment section below!